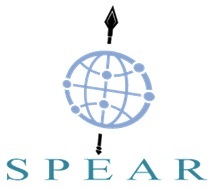 The SPEAR (Secure and PrivatE smArt gRid) project is a research program, co-funded by the Horizon 2020 framework programme of the European Union. • Timely detection of evolved security attacks such as APT, Denial of Service (DoS) and Distributed DoS (DDoS) attacks using big data analytics, advanced visual-aided anomaly detection and embedded smart node trust management. • Developing an advanced forensic readiness framework, based on smart honeypot deployment, which will be able to collect attack traces and prepare the necessary legal evidence in court, preserving the same time user private information. • Implementing an anonymous smart grid channel for mitigating the lack of trust in exchanging sensitive information about cyber-attack incidents. • Performing risk analysis and awareness through cyber hygiene frameworks, while empowering EU-wide consensus by collaborating with European and global security organisations, standardisation bodies, industry groups and smart grid operators. • Exploiting the research outcomes to more CIN domains and creating competitive business models for utilising the implemented security tools in smart grid operators and actors across Europe. The project’s call identifier is H2020-DS-2016-2017, started on May 1st, 2018 and lasts 36 months.